How does adding/removing first strike as a combat trick work? Does gaining double strike mid-damage let a creature hit twice? How about Archetype of Courage ? I really can't see any win-con off this. 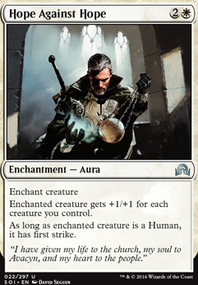 Have you considered trying using enchantment creatures like Archetype of Courage ? 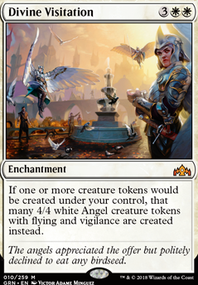 Oh, also, if you need to shave dollars to stay in your budget, I would start with Archetype of Courage , Fiendslayer Paladin , Gift of Immortality , Kazandu Blademaster , Lingering Souls (It's not legal in your colors to begin with, so that should be cut regardless), Mimic Vat , New Benalia , Prototype Portal (What is this even doing here? 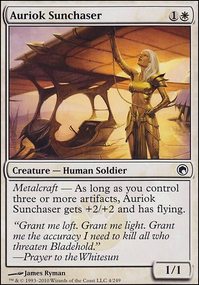 ), Return to Dust ( Crush Contraband is roughly as good and much cheaper), Rogue's Passage (only really worth it in a voltron deck), Seal Away ( Crib Swap and Stasis Snare are better and cheaper), Sigiled Paladin , Silverbeak Griffin (how is a card from an intro deck a dollar, anyway? ), and Thalia's Lancers . 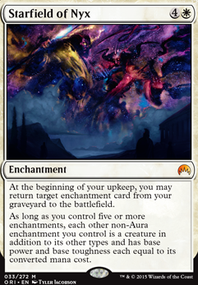 Karmic Guide combos with Reveillark and ashnods altar works good to fuel your skullclamp when you have a decent amount of tokens. KayneMarco Hey, thanks for taking a look! 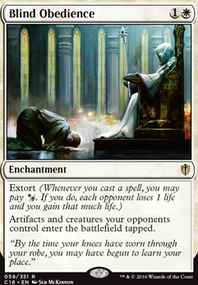 I had Plea for Guidance in the deck for a while, but I eventually cut it to reduce the amount of tutors (I accomodated my playgroup by removing some power and consistency from the deck). It's definitely a great suggestion and a card I like very much, both in function and in flavour. I'm a bit torn on the weapons of the gods. 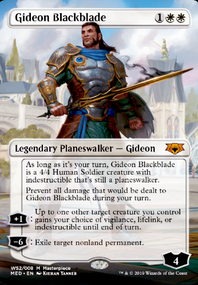 I can see myself slotting the spear as it's added protection and the anthem would allow me to play both Enchanted Evening and Starfield of Nyx at the same time, but I couldn't for the life of me figure out what to cut. 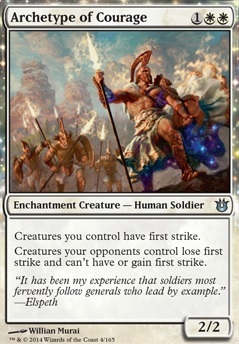 The bow has been in the maybeboard for a while because of its versatility and synergy with Archetype of Courage, but I have the same problem in that I can't find a card I'd cut in favour of it. The bident would likely replace one of the enchantresses, but since I already have that very effect in the command zone at all times, I'd rather spread my avenues of card draw around a bit more (also lacking a mass haste enabler in these colours, so draw-on-cast triggers are quite invaluable). They're all great suggestions though! 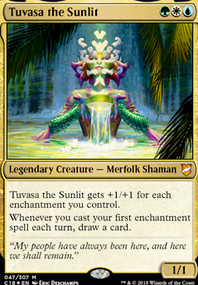 I own those cards and will definitely be slotting them in some other EDH decks, as I feel there's still a lot of mythology to be covered in other colour combinations. Something U/G with lots of sea monsters, for example... I'll be a-brewin'. Thanks!